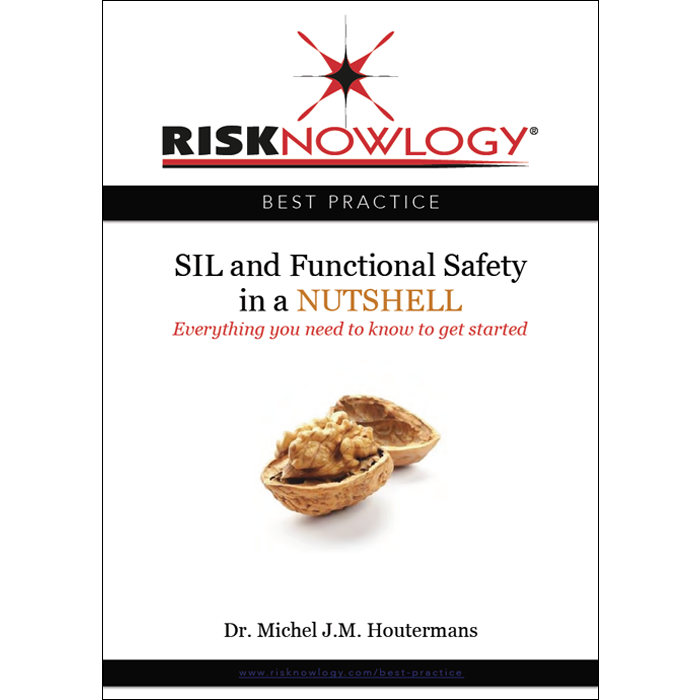 This ebook explains what SIL and functional safety means in a nutshell. The book is intended for everybody who is new to functional safety and SIL and wants to have a full overview without being lost in the details. It is excellent for managers that need to understand quickly what functional safety is all about and how it will influence the work of their employees and their products and/or services. It is excellent for engineers and professionals that want to get started with functional safety and understand the big picture before going into detail. SIL and Functional Safety in a Nutshell is an ebook explaining what SIL and functional safety means in layman terms. The book is intended for everybody who is new to functional safety and SIL and wants to have a full overview without being lost in the details. It is excellent for managers that need to understand quickly what functional safety is all about and how it will influence the work of their employees and their products and/or services. It is excellent for engineers and professionals that want to get started with functional safety and understand the big picture before going into detail. SIL and Functional Safety in a Nutshell explains in simple terms what many standards, guidelines and other publications concerning SIL and functional safety try to talk about. All these standards, guidelines and publications explain SIL with their own level of detail. This ebook does not to go into the details of what has to be done according to what standard and what not. It explains main functional safety concepts so that you know everything you need to know to get started. Functional safety is not rocket science and once you understand it and applied it a few times in practice you will notice it is just good engineering practice. This book tries to explain that good engineering practice. Functional safety standards can be confusing and contradicting at times and sometimes they require things that make no sense. You do not need to understand the standards in order to apply and be good at functional safety. If you understand the concepts explained in this book you can apply functional safety into your organisation and to your products, with or without following the exact requirements of standards. Actually once you understand how functional safety works you most likely will go beyond what standards say and create your own functional safety organisation of excellence. And if you do that, well then you are well on your way in becoming a longtime winner as suppose to a short term fuse. This ebook is part of the Risknowlogy Best Practices series which focuses on best practice for the risk, reliability and safety professionals. Simple language is used to teach SIL and Functional Safety. The book made the subject easy to understand. The book has given very consise treatment to the subject and hence it is good for some one who wants to quickly revise the subject. It is written in a very simple langugage and hence makes a difficult subject easy to understand. To read and understand IEC 61511 and IEC 61508 is very difficult. This is the most simplified book to understand functional safety. Really useful. First step for an aspirant to understand the subject (even if he doesn’t have any background). The book is written in a simple and easy language which could be understood by individual (from any stream) interested in the subject. Such an easy way of explaining the subject with examples can only come from an expert in the field. 1. IEC61508 lifecycle model has been shown and described in easy to understand words, as we read through. 2. Important words (to be remembered) are mentioned in bold letters and it is explained. 3. This book covers more information in lesser number of pages. The basics is covered nicely. I just want to let you know that I loved your book so much, I tried to understand the safety functional with my own effort and I download many books but it was hard to understand this topic in that clear view as in your book.